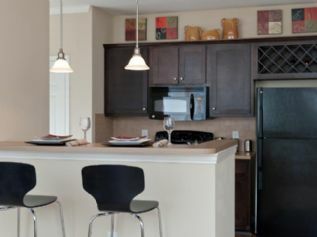 The Reserve at Maryville offers gorgeous one, two, and three bedroom luxury apartments with an abundant list of unbeatable features! Comments: We are a pet friendly apartment community! We are pleased to accept cats and dogs, however breed restrictions do apply. The following non-traditional pets ARE allowed: Turtles, Non-poisonous frogs, Domestic hamsters, Hermit crabs, Gerbils, Small domesticated birds, and Domestic fish. Fees for these non-traditional acceptable pets may vary if applicable.